Yoga practitioner and plus size model Ronnie Howard models for a shoot that shows yoga is for everybody – including women of color and women of different shapes and sizes. skin. 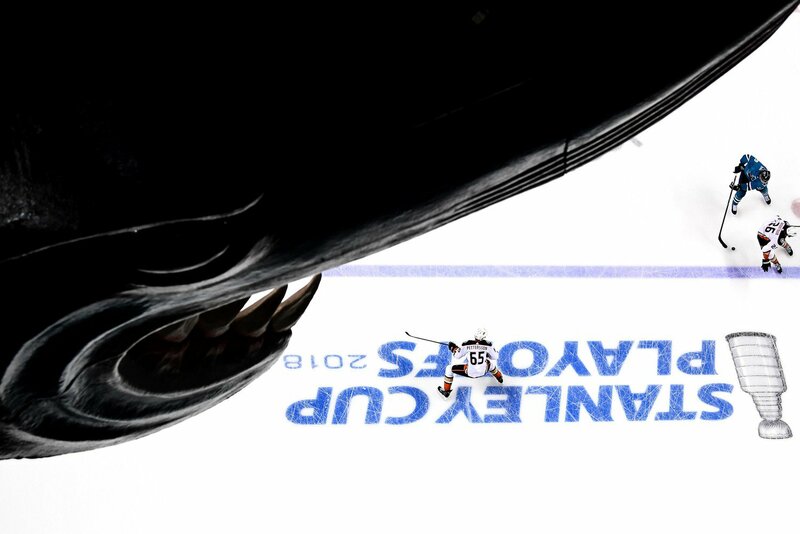 An overhead view of Anaheim Ducks players Brandon Montour and Marcus Pettersson, and San Jose Sharks player Evander Kane captured during the 2018 NHL Stanley Cup Playoffs at the SAP Center in San Jose, California. 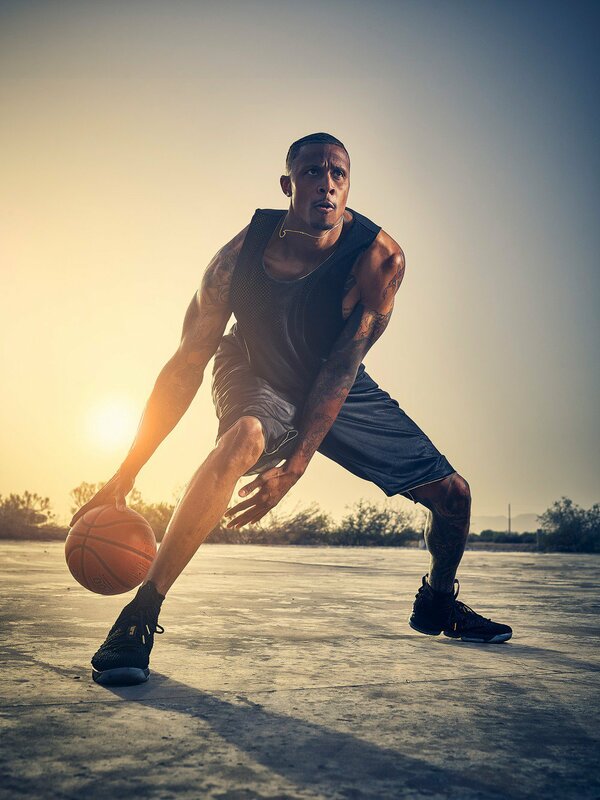 A sports portrait of basketball player Zach Andrews captured at an abandoned airport. 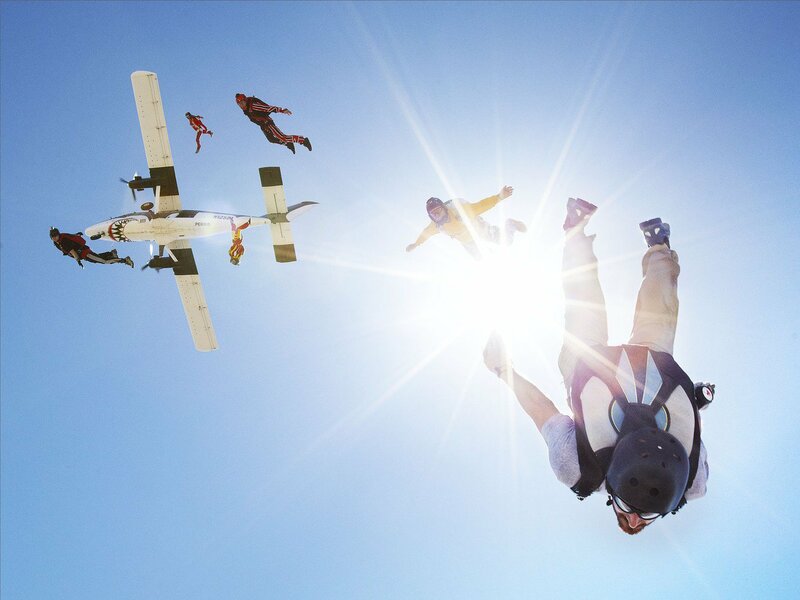 A group of skydivers captured as they make their descent. 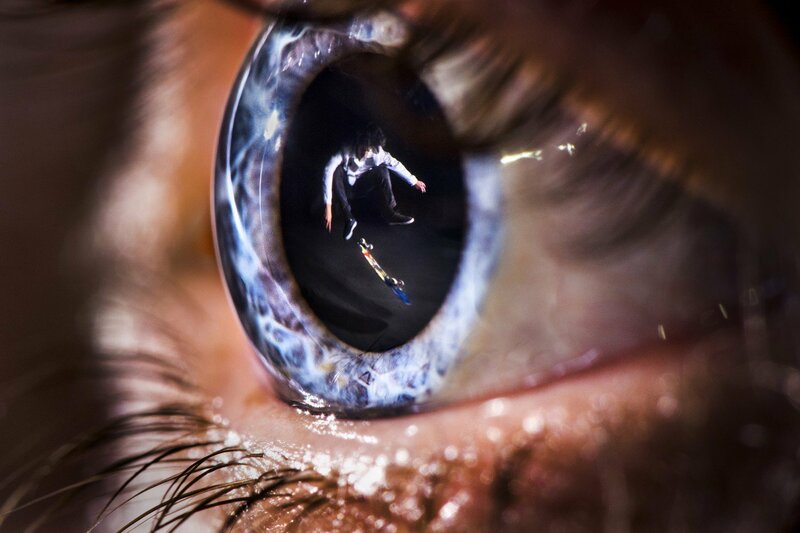 A skateboarder reflected in the pupil of an onlooker, captured in camera. According to Pirnat, the photograph isn't significantly manipulated in postproduction. "I've only corrected colours and brightness," he explains. Inspired by the physical strength and focus of athletes, Liu captured this portrait of a dancer in studio. "Through lighting and motion, the body tells a unique story that is both emotional and inspiring," she says. A dancer "at the edge of balance," Bahlsen explains. "[She is] completely devoting her body to the movement and letting it flow free." 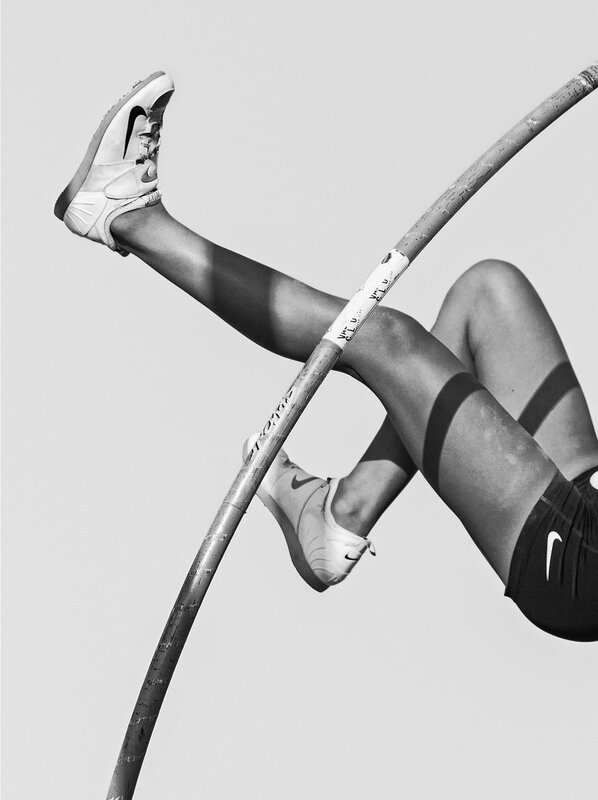 A series documenting a women's pole vaulting club where, notes Lowe, some of the students go on to get college scholarships. 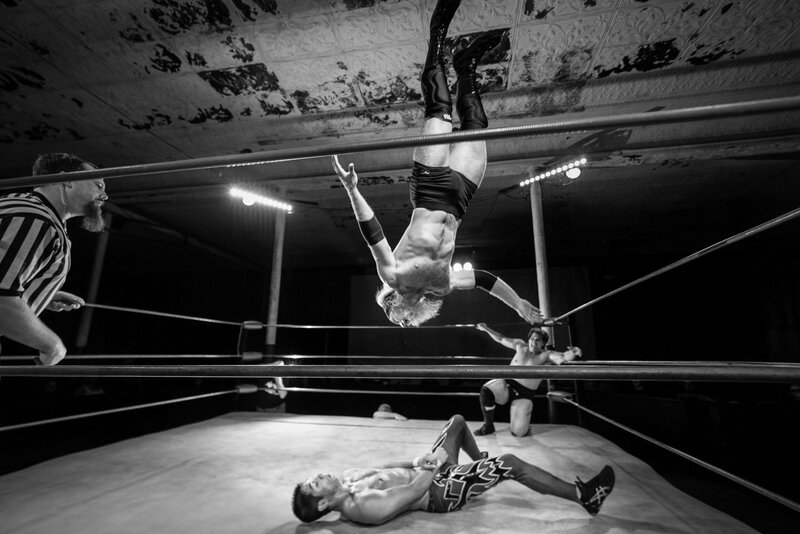 A United Wrestling Coalition match captured at the Homer Opera House—a spot Boozell describes as a fitting venue for professional wrestling since it "is as much an art form as it is a sport." 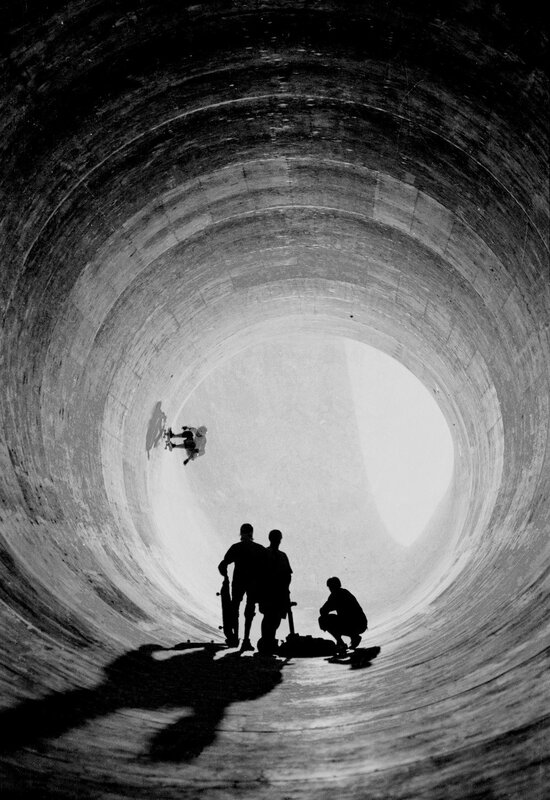 Skateboarders captured with T-MAX 400 black-and-white native film. 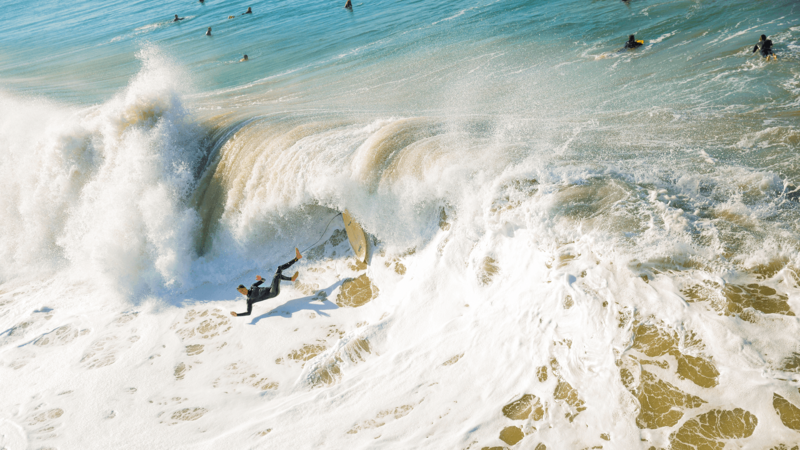 A surfer captured during what Deveau describes as "that quiet floating moment before the thrashing storm." 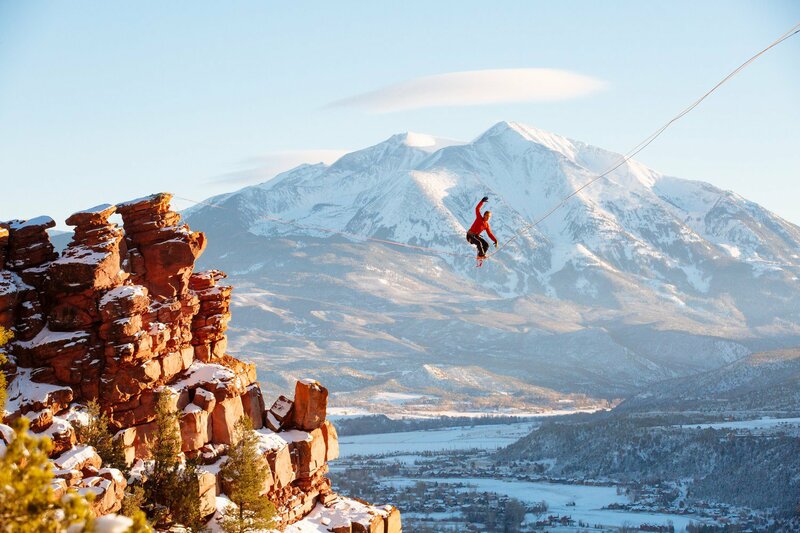 Highliner and paragliding pilot Pete Thompson walks across a slackline over Mushroom Rock in Carbondale, Colorado.